The cancer of the plasma cell is termed as the multiple myeloma. Though this disease is considered to be incurable it can pretty well be treated for a good prognosis and survival rate. 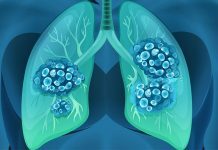 The diagnosis of this disease is devastating and breathe taking but it should be remembered that many new advanced therapies have made their way in treating the disease in a better way. This multiple myeloma is less common than any other cancers. On an average the frequency is estimated as 5-6 new cases in 100,000 persons per annum. Approximately in the United States there are 50,000 people with this disease. Also many more new cases are expected each year. This multiple myeloma is also known as plasma cell myeloma or myeloma. This disease is considered as a progressive hematologic (blood) disease. The plasma cell is the part of the immune system taking part in the defense mechanism. This cell produces the antibodies or the immunoglobulins to fight against the infection or any disease. The growth of abnormal plasma cells in excess in the bone marrow and the overproduction of the immunoglobulin lead to the disease. The most common clinical manifestations are the anemia, hypercalcemia, renal damage and very much prone to bacterial infections. Also the impaired production of normal immunoglobulin is one of the features of its manifestations. The most common characteristics of this disease are the osteoporosis, usually in the pelvis, spine, ribs, and skull. The treatment methods of multiple myeloma involve the use of anti cancer drugs or the chemotherapy. Also the other multiple myeloma treatmentsmay include the stem cell transplantation or radiation therapy. The most common symptoms of this multiple myeloma are the bone pain which usually affects the back, spine may encounter broken bones, fatigue, weakness, followed by constipation and nausea. Other multiple myeloma symptoms also are weight loss, very often infected and fevers occurrence increases and common symptom being frequent urination. After the non-Hodgkin’s lymphoma the multiple myeloma is the second most prevalent. According to the reports the multiple myeloma though less common is found to represent approximately 1% of all cancers and 2% of all cancer deaths. Statistics reveal the increasing incidence and also the onset of the disease in early age. In recent studies it is predicted that the few cases have also been reported in the early age for example people under age 40 as well. Generally this disease affects people of average age 68 years. This multiple myeloma is more common among men than in women. According to reports many cases are reported in men than in women. Surprisingly in the African Americans multiple myeloma is found to be one of the leading causes of deaths among other cancers. In Caucasian Americans the incidence is much less.